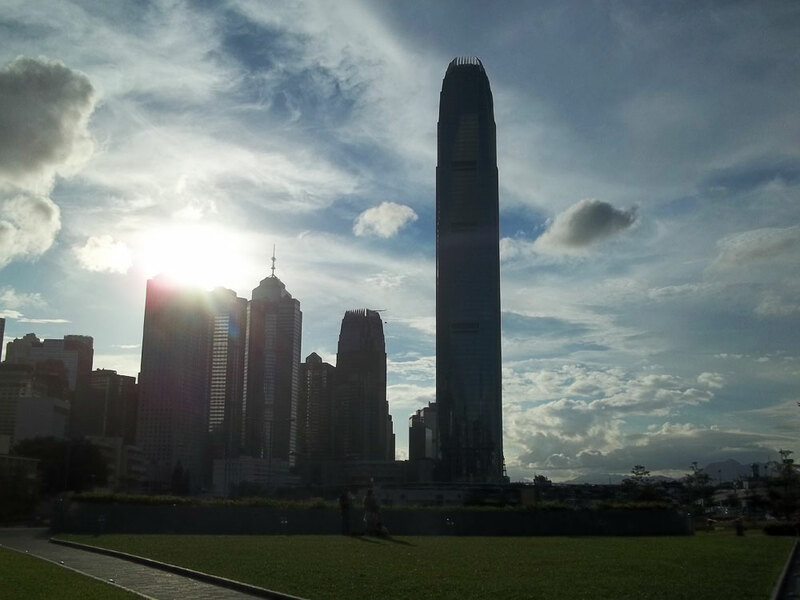 Why I Love Hong Kong May 20, 2015 · 7 min. readThis article may contain affiliate links. One of the greatest things about traveling the world is that you never experience the same thing twice. A city might have the same name, the same culture, or the same food, but there are no two locations on earth exactly the same. And that's where my love for Hong Kong begins. Hong Kong is part London, part Beijing and very much not part Tokyo. The culture is both proudly Chinese, proudly British and proudly not Japanese, with multicultural street names like Nathan Street and Shan Tung Street crisscrossing the city. The markets are dotted with both traditional fish ball kiosks and MacDonald Big Macs. The streets are full of bicycles and Fords, and the waterways are full of junk ships and recreational powerboats. Using chopsticks in Hong Kong is applauded equally as much as English. Hong Kong isn't just a city: it's a city between two very different worlds. Hong Kong is the gateway to the East. Being said, I had no idea what Hong Kong would be like when I first arrived. Would it be like Kyoto and it's temples, or like London and it's Gothic architecture? Or would it be like New York, a finely oiled machine? With my mind open to possibilities, I was in awe when my train first came above ground on the island of Tsing Yi. I have seen skyscrapers before, but these were different. Hong Kong is a forest of skyscrapers! Their apartment complexes dwarf the tallest buildings in my home town! Built between the ocean and the mountains, this concrete jungle spanned the entire city, creating a beautiful canopy of brown, grey, black and green. But the incredible architecture isn't the reason I fell in love with the city. Like a romantic fling that develops into a life long relationship, the first glance is often what steals your eye, but it's the personal experience that really captures your heart. The first thing I discovered about Hong Kong was the kindness of the people. Canadians are kind, but often shy and will only help when they see somebody in need. The Japanese are similar: polite but private. But the Hongkongers will run up to you and offer their help, even if you don't need it. I was so floored by this that when my bell boy offered to take my suitcase, I was suspicious of his true intentions. I experienced this same kindness several times around the city, usually from teens wanting to take pictures of me. I would be too shy to ask to take a picture with a foreigner back home, but I was asked four times to have my pictures taken! The next thing I loved about the city was it's appreciation for nature. Cities around the world have a bad habit of destroying nature in the name of progress. Hong Kong is different. They build around nature, and let the trees become part of the architecture. 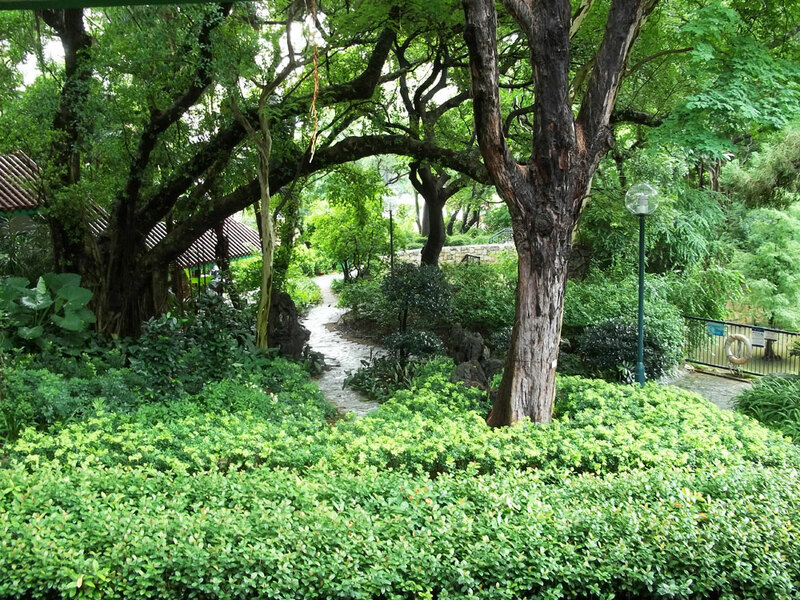 Massive parks, zoos and gardens can be found throughout the city. 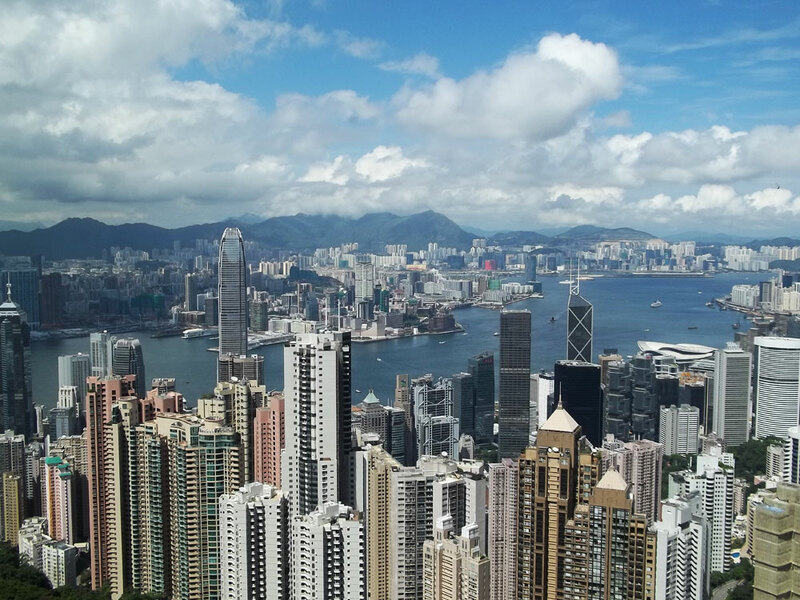 Even Hong Kong's most iconic location, the Peak, offers a pedestrian path up the mountain to reach the final destination. While this path is old and moss covered, it would nevertheless be a beautiful hike through the heart of the city. Not only is the city full of greenery, but so are the nearby islands. In fact, over 70% of the Hong Kong area is undeveloped. This means massive forests and uninhabited islands dot the harbor. 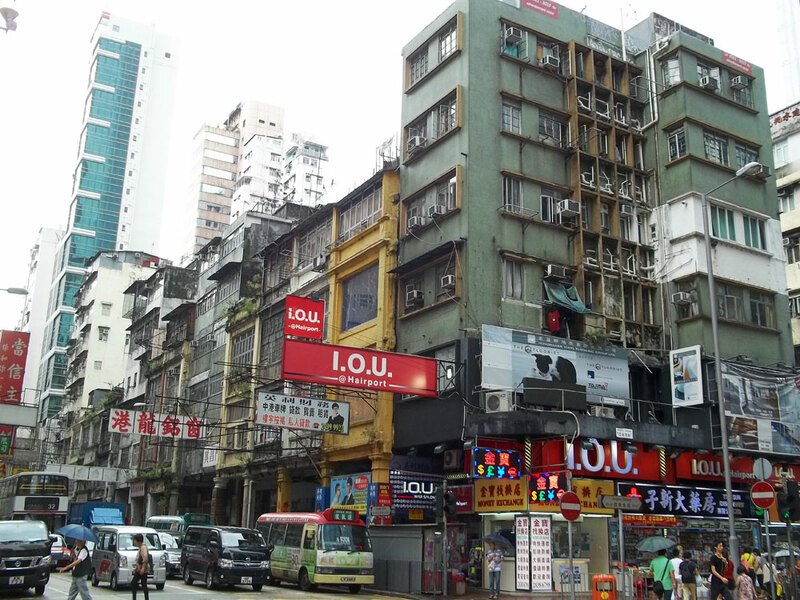 Separated villages, while all controlled by the Hong Kong government, can develop and grow independently, which leads to a vast diversity of architecture, commerce, transportation and hygiene unlike anywhere else in the world. It is this diversity of cultures, languages and lifestyles that make Hong Kong the incredible place it is. Every night the city celebrates this by putting on "A Symphony of Lights", the world's largest light and sound show. Thousands gather on the shores of Victoria Harbour to watch the show, and many have their picture professionally taken in front of it. 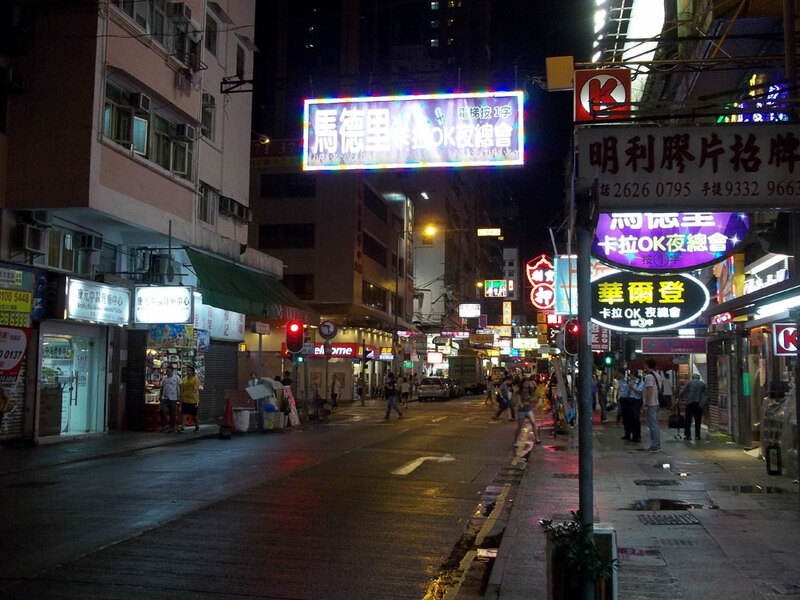 While this show is interesting, I found the real show was walking through Hong Kong at night. Depending on where you are, you'll see a variety of different things: you might find "authentic" merchants that will sell you a cheap, custom made suite, or you might see exhausted, sweating shop keepers playing cards outside their store. You'll also see people rushing around the city, aglow in neon moonlight. Hong Kong, like New York, never sleeps, and if anything, it comes alive at night. The Hongkongers are also very resilient. In the past 100 years, they have been under the control of three very different countries. They have seen their city at war several time, and even in smoldering ruins. They have had their culture stolen from them, trampled and spat upon. They have had the iron fist of Communism crush down upon their freedoms, and they have used umbrellas to fight back against the oppression. While the city as a whole has grown, some parts like the Kowloon Walled City grew too fast and became a carcinogen, needing to be destroyed. 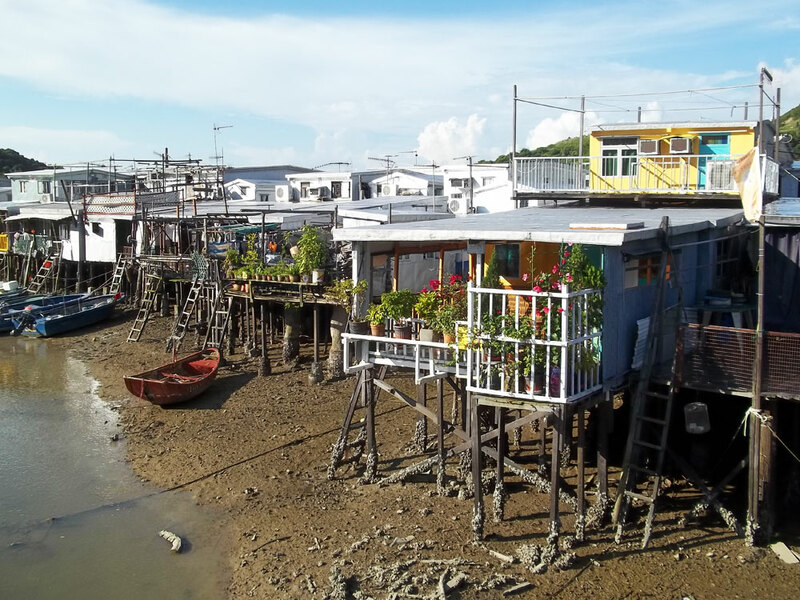 Other parts like Tai O were unable to grow, and crumbled into poverty. Hong Kong isn't just a city. It's a testament to mankind's progress, and through coming together by their differences, not just their similarities, they were able to create something beautiful. In a world constantly torn apart between cultures, politics and religion, Hong Kong shows it is possible to live in peace. Asia's World City is just this: a symbol of multiculturalism and the benefits that we can all acquire from them, with the promise of a world where all people can live in peace. This is why I love Hong Kong. Had history been different, this article would probably be written in French. New France, the birth child of French colonialism, once spanned the majority of eastern North America, dipping feet in both Hudson’s Bay and the Gulf of Mexico. It was only after the British captured the city in 1759 and opened the port of the St. Lawrence River did the once promising dynasty of New France cease to exist. Although New France is long forgotten throughout most of the continent, Quebec City still embraces the same French language, culture and identity as it did nearly four hundred years ago. Visiting this city will bring you back in time to an earlier Canada – one of cobblestone streets, narrow houses, clanging church bells and horse drawn wagons. Quebec City is a unique location unlike anywhere else in Canada, being a slice of Europe seemingly untouched by the modern world. It is for these reasons and more that Expedia.ca asked me to write about this incredible city. There are many ways to get to Quebec City, such as by plane, train, bus, car, bike or boat. Part 12 of my cross Canada series takes us to the smallest province in Canada, Prince Edward Island. However, don't let the name confuse you: PEI is actually 232 islands! PEI also happens to have smallest population of any province in Canada, with only 146,300 people as of 2014. This means this province has less people than my hometown Regina! Being so small, however, it was difficult to find images on Instagram. That isn't to say there's nothing there worth seeing! Quiet the quandary, actually. PEI has a few very unique locations that drive their tourism. One of them is the gorgeous themed village of Avonlea, named after the village in the hit novel "Anne of Green Gables" published in 1908. This story, and the subsequent stories, follows Anne, a red-haired "fiery" orphan who grows up on PEI. The story is an international bestseller, and is strangely very popular in Japan (or so I've been told)! I was recently asked if I preferred my time in Montreal or Quebec City more, and while Montreal is a gorgeous city, decorated with thousands of green copper spires, hosts incredible festivals, has some of the most fantastic food I have ever tasted, and is spotted with beautiful parks, there was just something about Quebec City that spoke to me. Being over four hundred years old, Quebec City is one of the last remaining "walled cities" in North America, and is the only one north of Mexico. Quebec City was the location of some of the greatest conflicts in Canadian history, including the Siege of Quebec by the British. Belonging to three very different countries (France, England, and Canada) in its four hundred year existence, Quebec City is a mixing pot of old traditions, new ideas, cobblestone streets and modern architecture. Since there is so much to see in Quebec City, I figured I would narrow it down to a couple and let you discover the rest! Here is "8 Places to Visit in Quebec City".